Ford says the new truck will be as much as 700 pounds lighter than the current truck, bringing improvements in fuel economy, performance and capability. Click here to see how the switch to an aluminum-bodied truck will affect key industry players. When Jeff Carlson heard Ford Motor Co. was making its 2015 F-150 pickup out of aluminum, he became concerned many customers might not be ready for such a big change. 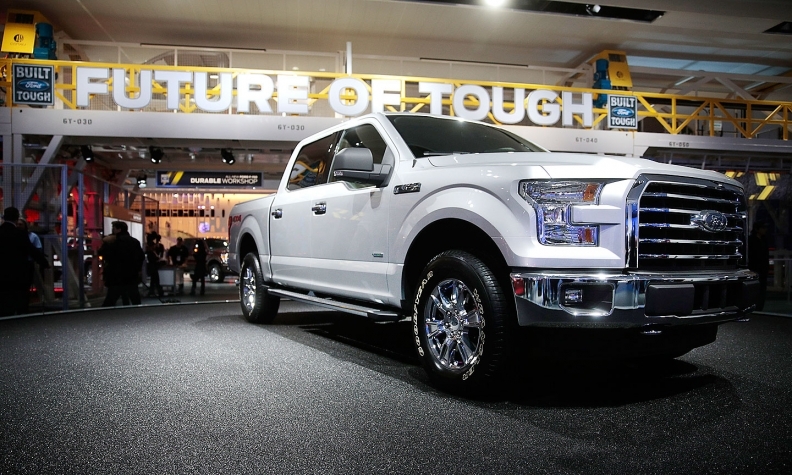 After all, "Built Ford Tough" has always meant steel. "We thought there might be some pushback because of the aluminum," says Carlson, who owns two Ford dealerships in Colorado. So Carlson and his staff decided to interview customers. What they learned surprised them. "That has not been the case at all," he said. "Some of the more knowledgeable customers out there [are] saying 'I'm actually going to wait for that truck' because they like the idea of aluminum." Other dealers who had similar fears say they have been surprised by how ready their customers seem to be to embrace the switch to aluminum. Ford says the new truck will be as much as 700 pounds lighter than the current truck, bringing improvements in fuel economy, performance and capability. "My fear was they wouldn't think it was heavy-duty enough," says Ed Jolliffe, owner of Gorno Ford in Woodhaven, Mich., referring to his customers. "But I think they [Ford] have addressed that already." Dealers and Ford officials say the notion that pickup customers are resistant to change is outmoded. "At the customer level, you've got to remember these customers fish with titanium reels; they hunt with carbon fiber rifles. 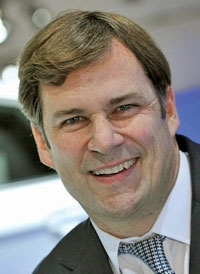 They hold their tools in the back with an aluminum tool holder," says Jim Farley, Ford Motor Co. global vice president of marketing, sales, service and Lincoln. "These customers are surrounded by new materials at every level." Alexander Edwards, president of Strategic Vision, a San Diego consulting firm that studies consumer behavior, says Ford has earned goodwill as a leader in the truck market for more than three decades. Customers will trust the company to get it right, he says. "I don't believe the first group of customers will hesitate at all," Edwards said. "But if there are any problems, then they're going to have a significant problem getting people in the second and third waves of truck buyers. Ford is staggering the pickup launch, starting production of the 2015 F-150 at the Dearborn truck plant late this year, followed by production at the Kansas City, Mo., plant in the first half of 2015. That means aluminum and steel F-150s will sit side-by-side in showrooms. That's fine with Jerry Mullinax, owner of Mullinax Ford in Apopka, Fla., who recalls when Ford redesigned the F-150 for the 2004 model year. Pickup sales soared to record monthly levels in August and September of 2003 as bargain hunters snapped up the 2003 model and early adopters grabbed the 2004 model, he says. Mullinax loaded up on 2003 trucks with less content and on 2004 trucks with all the goodies. Both versions sold well, he says. But Mullinax says his sales staff needs to be prepared to tell the aluminum story. "I'm going to have my guys selling it to the customers -- saying, 'Hey, you've got the material of the future. They use aluminum in those HumVees, and they've been using it in delivery trucks for 40 years. Those trucks hold up."